The Crimean War from 1853-56 was the first reported by daily newspapers and documented by photographs. Hungarian-Romanian photographer de Szathmàri took photos during the war and created albums which he personally offered in 1855 to Napolean III of France and Queen Victoria of England. British photographer, Roger Fenton was sent on assignment to the Crimea for 4 months in 1855 and managed to take over 350 large format photographs. The Crimean War weakened the Ottoman Turkish empire that had been in power for almost 400 years. European countries recognizing the “sick man on the Bosphorus”, came to visit and stake their claims. 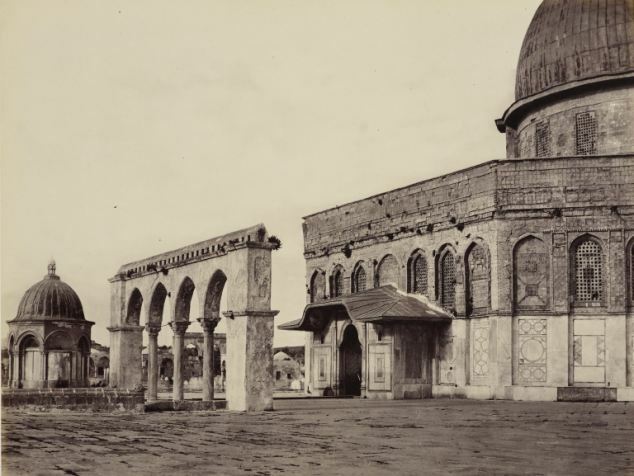 When guiding I point out how the 1860s were pivotal in Jerusalem’s development. In 1860 the British philanthropist Mose Montefiore had Mishkenot Sha’ananim built, the first apartments outside the walls of the Old City. The introduction of steamship travel made it easier to visit foreign countries and with the advent of photography it was possible to bring back images from your travels. 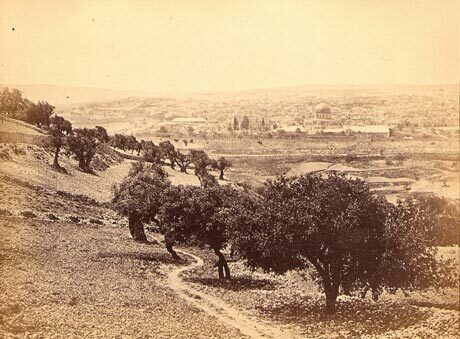 One of the earliest such trips was a visit in 1862 to the Holy Land by the 21-year-old Prince of Wales that was documented by the photographer Francis Bedford. Mark Twain reported on his travels to Europe and the Middle East in 1867 in Innocents Abroad and while in Jerusalem stayed at the Mediterranean Hotel at the same time that the British explorer, Charles Warren was there. The year 1869 marks the opening of the Suez Canal, Thomas Cook escorts his first tour group to Egypt and Palestine and the Austrian Emperor Franz Joseph visits the Holy Land, the first crowned head of a Catholic country to visit since the Crusades. 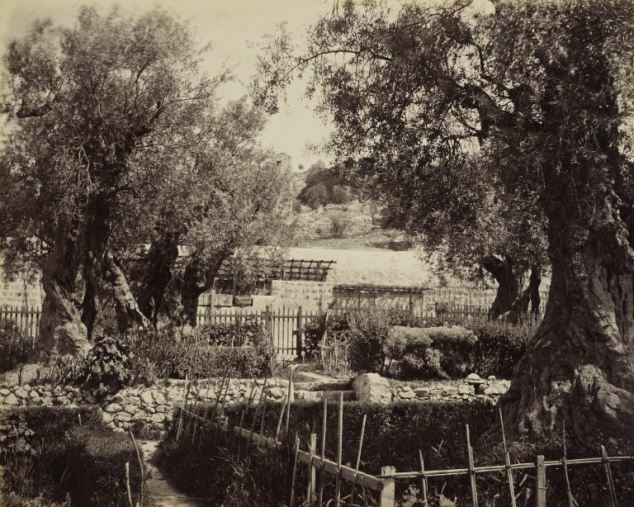 In 1873 a group of German Protestants that had already settled at Haifa and founded the German Colony there bought land in Emeq Refaim in Jerusalem to build their colony. Christian Arabs left the Old City and built new homes creating the Greek Colony and Katamon neighborhood. Just before the end of the century, in 1898 the German Kaiser Wilhelm II and Augusta Victoria visited the Holy Land; the logistics were arranged by Thomas Cook & Son. The year 1898 is widely accepted as the start of the American Colony Photo Department which documented the Kaiser’s visit, although one of its members had produced photographs earlier. Let’s go back to February 6, 1862 just eight weeks after his father’s death when Edward, Prince of Wales, and his entourage left England for Egypt. The group crossed Europe to Venice by train, where they joined the royal yacht Osborne for the journey to Alexandria. This was the starting point for the well-planned itinerary that had been chosen by Edward’s father Albert in consultation with a group of scholars and politicians, an extensive tour of the Middle East, visiting Egypt, Palestine, Syria, Lebanon, Turkey and Greece, part of the process of preparing him to be a model modern constitutional monarch. The group travelled on horseback, camping out in tents. Dr Stanley, spiritual advisor and Dean of Westminster, acted as tour guide because of his extensive knowledge and experience traveling in the East. He would provide a running commentary of both the history and Bible references as they related to the places they visited. Specifically, Jerusalem, Bethlehem, Hebron, Capernaum and Nablus were all names that were particularly significant because of their association with the Bible. The Prince, heir to the throne, would also be guardian of the church so these were places to know about. 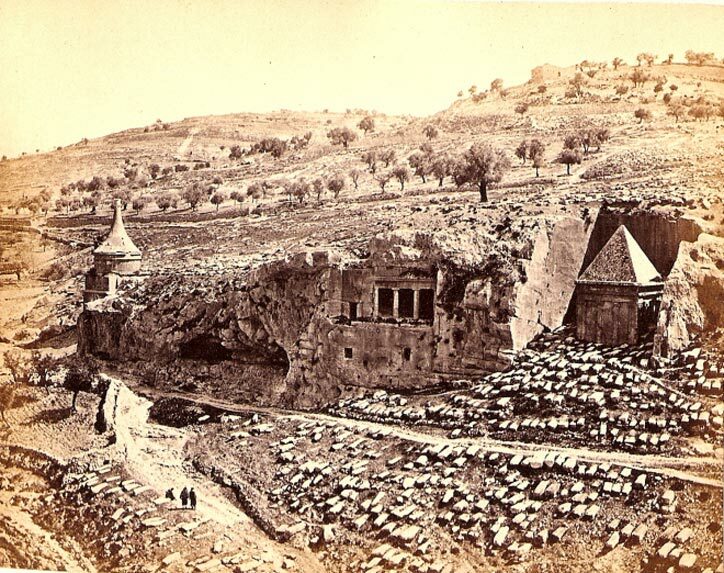 April 3, 1862: Our tents were struck at 8.30am and we started at that time (on horseback of course) for Bethlehem, which we reached in about a couple of hours time, stopping on the way at Rachel’s tomb, and it was ascertained for certain that the tomb is on the site of the real one. British photographer Francis Bedford (1815-1894) was invited to make a photographic record of the tour, his most important Royal assignment. Some of the equipment could be taken with him but most had to be sent ahead, to be collected at Alexandria when they arrived. On the tour itself, Bedford would have needed porters to carry all the equipment, a large heavy camera, 10×12 inch glass plate negatives, chemicals, portable darkroom. Many of the materials were fragile and unstable, especially when exposed to extremes of temperature. For each photograph, Bedford had to coat and sensitize the plate, position it in the camera while it was still wet and then expose it. Once the image was captured the plate had to be developed and fixed, while excluding all light; lastly, the plate had to be washed. The photos are remarkable when you consider the conditions and that photography was in its infancy having been invented 21 years earlier. For those who can be in Edinburgh, the photographs from the Prince’s visit in 1862 taken by Francis Bedford, which belong to the British Royal Collection, will form part of a new exhibition Cairo to Constantinople: Early Photographs of the Middle East at The Queen’s Gallery, Palace of Holyroodhouse, from March 8, 2013. 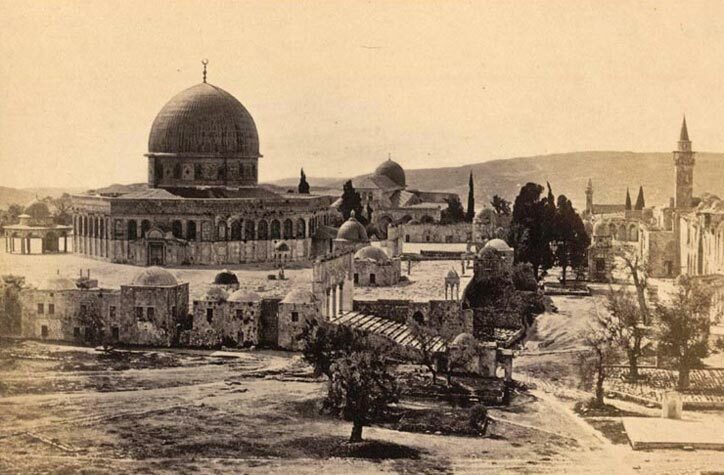 This entry was posted in 1900s Photos, Jerusalem, Photography and tagged Crimean War, Francis Bedford, Holy land, Photography, travel on December 26, 2012 by Shmuel Browns. Lovely post. Reminds me of the Muybridge biography The Man Who Stopped Time by Brian Clegg. His difficulty in transporting glass plate negatives is part of the story indeed.